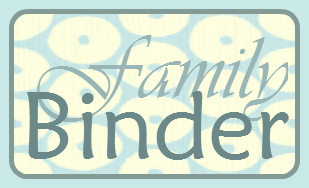 The next tab in my Family Binder is for Finances. This isn't a big section for me, but it is important. I have tried many different ways to organize how we keep track of our bills. It is a way to save money by staying on time with payments. Late fees add up! I originally had a check list that I did month by month, but I found I didn't keep up with it, because I added too many details that became tedious. I have now switched to a checklist that will take me through the whole year. 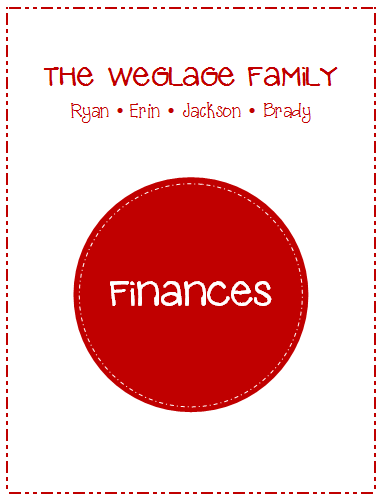 I left a few lines blank at the bottom of my list so that I could add any additional bills as they come. 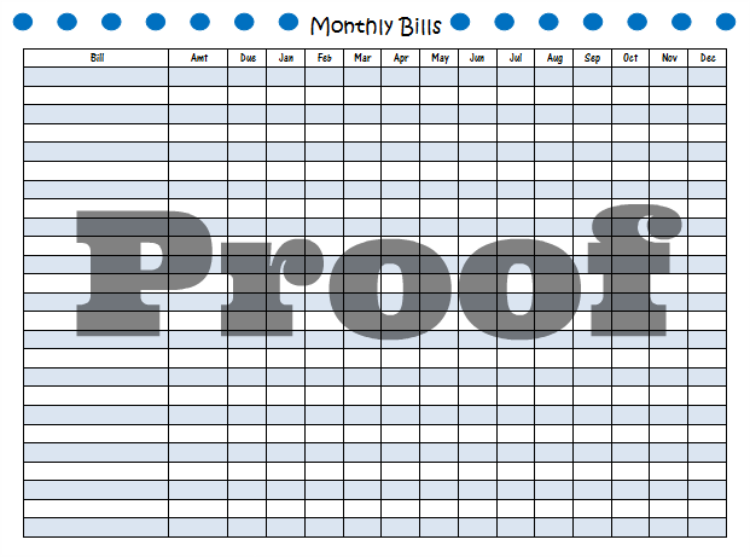 I also put an asterisk next to any bill I have set up for automatic payment. This section is also a good place to put any bills waiting to be paid. Once you pay them, file them to know you took care of it. 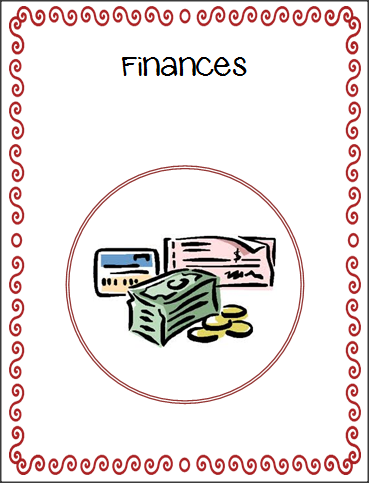 If you have any other suggestions for the Finances section, please post a comment.